It wasn't the need for a job which led him to the AMCAT test. And that's where this AMCAT testimonial story, which ended with a Grappus job, is different. 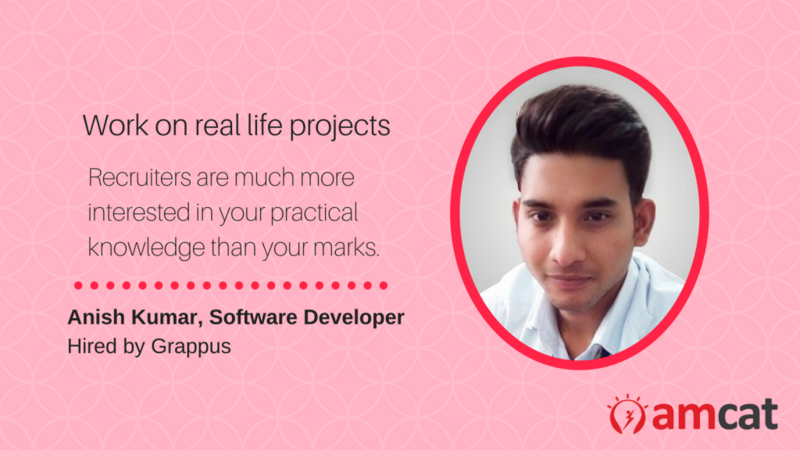 This is how Anish Kumar found his software developer roots with a Grappus job. A passionate developer seeking to understand where he stood among the rest – that is how our journey begins with the story for the day. A journey which joined the dots between a job aspirant and a Grappus job. Via the AMCAT test. 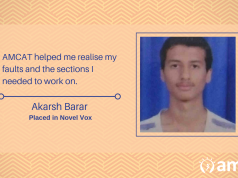 Anish Kumar, a 2017 graduate from the Poornima College of Engineering had completed his B.Tech degree this year and was moving towards a job search path. However, it wasn’t the burning need for a job which led him towards considering the AMCAT test. And that’s where this AMCAT testimonial story is separate. Each candidate who clears the AMCAT test with a high percentile score, approaches the test with adequate preparation. And that’s what Anish did too. In terms of numbers, he got three interview calls. Including the one for the Grappus job. And then prepared again, this time for the interview process. 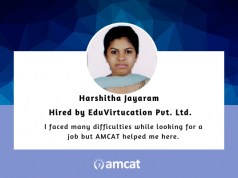 Overall, Kumar liked his AMCAT test experience. “It serves as a great feedback platform, but it also provides with ample opportunities to scale your career.” He particularly liked how it gave him an idea of his own strengths and weaknesses. We asked him if he had any words of advice for those seeking jobs, especially software developer jobs. 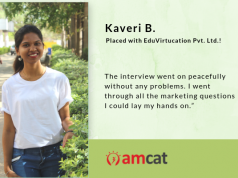 Keen on exploring more of our AMCAT testimonials? Try our section for more such stories. And consider joining the pack – by scheduling your AMCAT test, today.